Road safety is a far more complicated prospect for motorcyclists than it is for drivers of cars and trucks. When accidents happen involving larger vehicles, those vehicles’ drivers and any passengers have at least some exterior protection provided by their seatbelts, along with the steel frame of the vehicle. Motorcycle operators and passengers, on the other hand, have no such protection. This is why many motorcycle safety advocates are in favor of Texas motorcycle laws that mandate the use of helmets and other measures intended to protect motorcyclists and their passengers in the event of an accident. Texas motorcycle laws have changed numerous times over the years, however, as ongoing crash data informs the issue and various groups lobby for either greater or fewer restrictions on motorcycle operators. 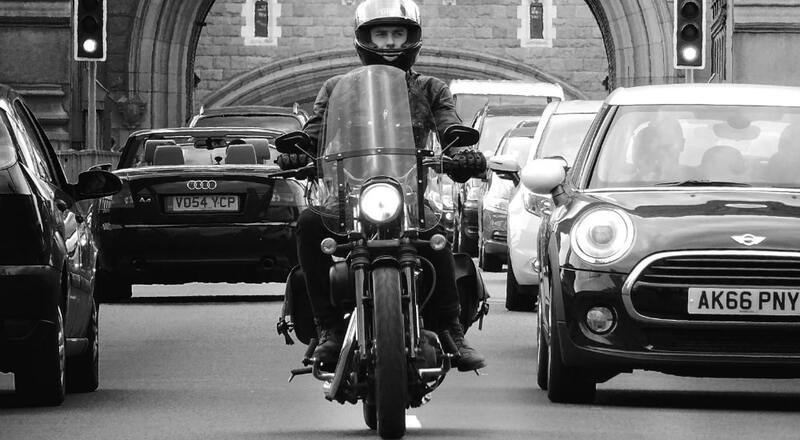 Arguably, road safety is a primary concern for any motorcyclist; individual motorcyclists, however, have differing viewpoints regarding which safety measures should be legislated and which should be left up to personal choice. According to Texas motorcycle law, a motorcycle passenger must be at least five years old, unless riding in a sidecar specifically designed to carry a passenger safely alongside the motorcycle operator. Minor passengers, meaning those under the age of 21, must wear helmets at all times. Motorcycle operators who are minors must also wear helmets at all times, by law. If the passenger is over age 21, they can choose not to wear a helmet if they meet the exemption requirements as stated by Texas law. These requirements are outlined in the section below. Texas law also stipulates certain other passenger safety regulations aside from age limits. 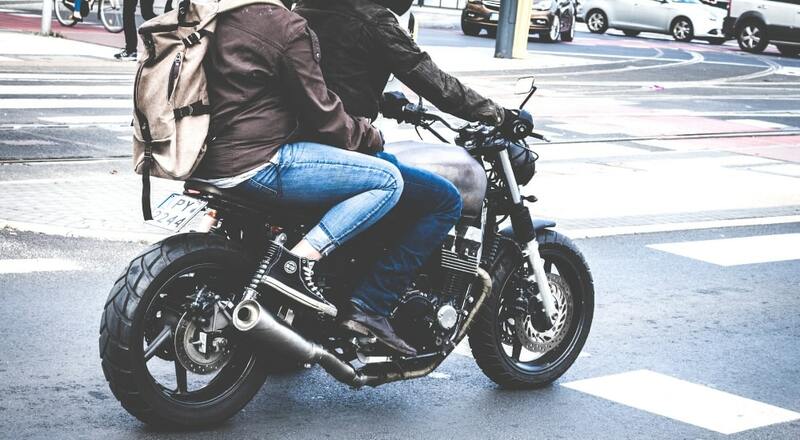 Namely, Texas law dictates that motorcycle operators may not carry passengers unless their motorcycles are designed to carry more than one person, which means footrests and handholds should be available for the passenger’s use. What is the Texas Motorcycle Helmet Law? When viewed over the span of decades, Texas motorcycle helmet law is not static; on the contrary, helmet laws in Texas have changed periodically due to the ongoing debate about the pros and cons of required use of helmets while operating or riding a motorcycle. On the pro side, advocates of mandatory helmet laws cite alarming injury and fatality statistics from motorcycle crash data to support their position that wearing helmets can save lives and reduce the severity of injuries motorcyclists and their passengers can suffer in an accident. Helmets can help especially in the case of head injuries that would otherwise be lethal, or at least more severe. Mandatory helmet law advocates also claim helmets prevent minor head injuries altogether that would have occurred if the motorcyclist were not helmeted at the time of the crash. Opponents of helmet requirements point out that mandatory helmet laws don’t affect the rate of crashes —meaning, even if a motorcyclist or their passenger wears a helmet, doing so won’t prevent an accident. It is arguable that certain elements of Texas motorcycle crash data aren’t overwhelmingly compelling, as far as the severity of injuries among helmet-wearers versus non-helmet-wearers. For example, Texas motorcycle crash data from 2017 showed that only a slightly higher percentage of motorcyclists who died in accidents on Texas roads were not wearing helmets—52%—as compared to 48% of those who were. Still, while many opponents of mandatory helmet laws do acknowledge that wearing helmets can save lives and reduce the severity of injuries, they view the overall issue from a standpoint of personal freedom and autonomy, saying it should be a personal choice and not one mandated by law. In keeping with the above philosophy, the posted position of the American Motorcycle Association (AMA) on helmet laws is that, while the AMA does not oppose mandatory helmet laws for minors riding or operating motorcycles, it believes that adult motorcyclists age 21 and older should have the right to determine for themselves whether or not to wear helmets. The AMA also notes that using a helmet along with other personal protective equipment (such as gloves and sturdy footwear) is “strongly encouraged” while riding or operating a motorcycle. Groups like the AMA were likely pleased when Texas helmet laws became a bit less restrictive in 2009. Previously, Texas motorcyclists had been required to carry a minimum of $10,000 in health insurance coverage related specifically to motorcycle accidents and also had to display DPS-issued stickers on their motorcycles if they wanted to avoid penalties for not wearing a helmet in the event of an accident. Then, in 2009, then-Governor Rick Perry passed legislation removing those restrictions. Since then, there is no required minimum health insurance coverage for motorcycle accidents and no more sticker requirements. Motorcyclists who meet certain criteria are not required to wear a helmet when operating or riding a motorcycle. Specifically, any motorcyclist over the age of 21 who has successfully completed a training and safety course specifically for motorcycle operators is exempt from having to wear a helmet. 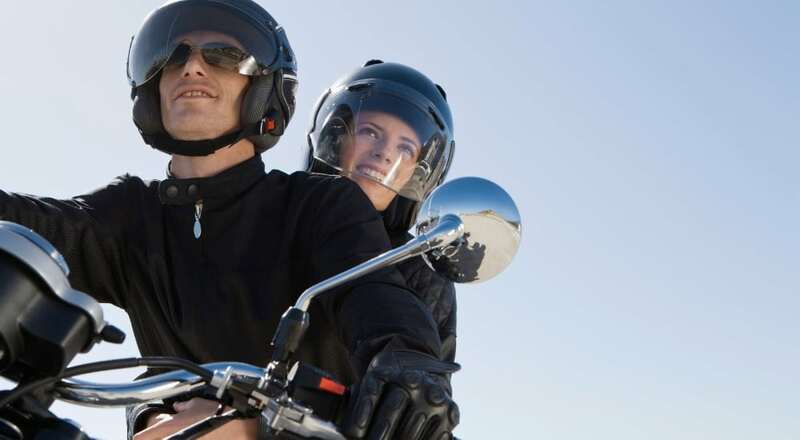 Any motorcycle passenger is also exempt from having to wear a helmet if they have either completed a motorcycle training and safety course or they are covered by a health insurance policy that will provide them with medical benefits if they are injured in an accident while riding or operating a motorcycle. After evaluating nationwide crash data from 2008 through 2010, the CDC found that fatalities are far more likely in motorcycle accidents than in crashes involving larger vehicles, such as cars, trucks, buses, and commercial vehicles. The federal agency also found that helmet use was consistently responsible for reducing injuries and fatalities in motorcycle crashes across the country. Thus, the CDC recommended that universal motorcycle helmet laws be passed throughout the United States, requiring all motorcycle operators and passengers to wear helmets at all times. 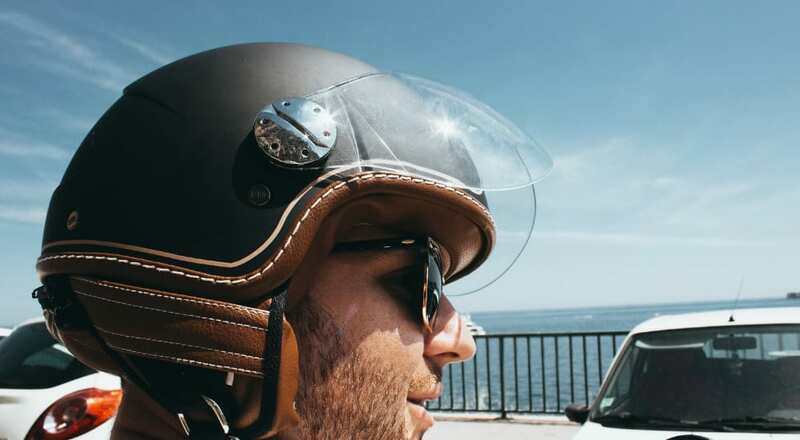 As of 2019, a universal motorcycle helmet law has not been enacted, and the debate continues regarding whether this is an issue of public safety or one of personal choice. Is Lane Splitting Legal in Texas? “Splitting lanes” refers to the practice engaged in by some motorcyclists when they ride their motorcycles between rows of cars. The cars might be moving slowly or at a standstill in traffic, or they might be faster-moving, such as in freely flowing traffic. Motorcyclists have even been known to split lanes at high rates of speed on highways, weaving in and out between lines of other vehicles that are going the speed limit in order to “skip ahead” faster. Though there are no laws in Texas on the books as of yet that specifically address lane-splitting, this practice is often found to be illegal in Texas based primarily on other state laws—namely, the state law stipulating that any vehicle operating on a Texas roadway, whether it is a car, truck, commercial vehicle or motorcycle, must use a defined lane to pass any other vehicle. Thus, when a motorcyclist drives along the white dotted line separating lanes between rows of other vehicles, he or she is committing a violation for which a police officer can issue a citation. Speeding while splitting lanes is also illegal, as is passing other vehicles unsafely; either of these could result in a citation. Should lane-splitting be legal or illegal in Texas? To many lawmakers and safety advocates, it should be illegal as a simple issue of road safety, but many motorcyclists disagree. They argue that lane-splitting is actually safer for them, as it helps reduce their chances of being rear-ended. When a car or other larger vehicle is rear-ended, it’s less likely to be fatal, but motorcyclists who are rear-ended stand a much higher chance of sustaining serious injuries. Aside from safety issues, many motorcycle operators split lanes simply because it is fast and convenient. Certain states, such as California, have conducted studies on lane-splitting and passed laws accordingly. California law, for example, stipulates that lane-splitting is allowed only when done in slow-moving or standstill traffic, as research data showed lane-splitting under those conditions to be far safer than when motorcyclists split lanes in faster-moving traffic or on the highway. It is likely that Texas will follow suit at some point in the future in enacting laws specifically addressing lane-splitting by motorcyclists, but so far, there are no laws on the books that specifically address the legality (or lack thereof) of lane-splitting. Have You or Someone You Love Been Involved in a Traumatic Motorcycle Crash? If you’ve been involved in a traumatic motorcycle crash, or someone you love has been, Slack Davis Sanger can help. The experienced attorneys at Slack Davis Sanger have represented many clients who have been involved in a motorcycle crash, or who have lost someone in a tragic accident. 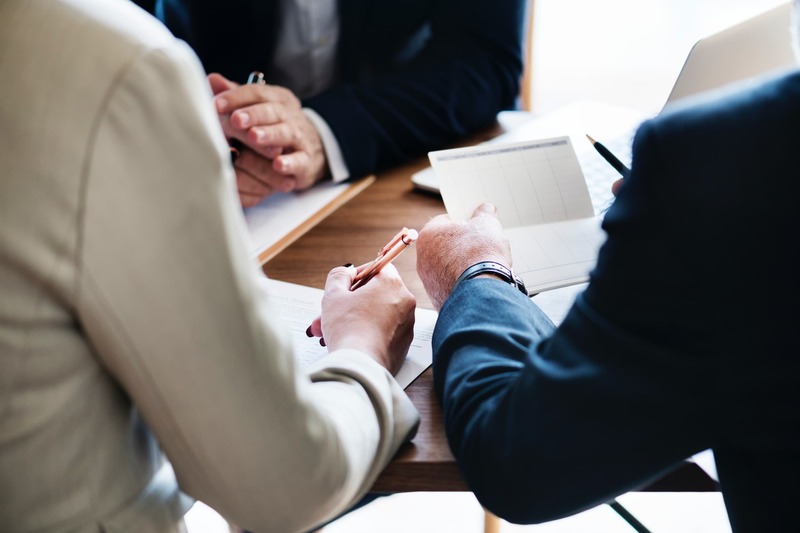 We are compassionate listeners and tough advocates who will work tirelessly in pursuit of the compensation you deserve.